1. Click here to see the best person on Steam! 2. Don't forget to subscribe to my curator page! 3. Oh, and send me a Steam Offer if you want to trade. Mraxen uгpы c стиma 20%! Contact me (via Steam Offer) with your offer. I'm selling most of my items, games and cards. However, I don't do charity. If that's not a fair/profitable trade, I will decline. I will not add you, nor would I answer to an unfair trade offer (if there was a question in comment, that is). I also report and block all beggars and scammers, so be aware. I love playing co-op games with friends. Mostly open-world games, action-games and something exploration-based. 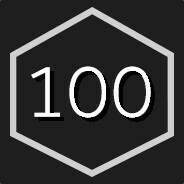 If you're up for a casual play, send me an empty Steam Offer with a message, I will reply as soon as possible. Microphone is not a requirement, but would be *much* appreciated. Be aware, though, that some people that I'm playing with are frequently streaming (I don't). 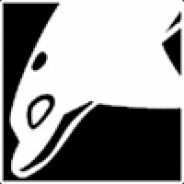 If you want to contact me, send me a Steam Offer with your question in description, I will add you myself. Click here to send Steam Offer or use the link from the profile description above. Note that I don't add private profiles, and low-level (<20 level) profiles, because those are mostly used by kids and scammers. There are exceptions, of course, so don't hesitate to contact me. Anyway, thanks for reading this! Have fun and enjoy playing games! I'm buying/selling most of my items, these ones I'm showcasing were picked randomly from my Rust inventory. TL;DR: This is basically a rogue-lite version of Heretic (remember that old classic?). I strongly approve. Game's really smooth, -- at least, as smooth as you'd allow a rogue-like (or rather rogue-lite) to be at all. Graphics and the game engine itself are pretty good. Some (most, actually) of the monster animations are really simpistic, but that's not a bad thing, really (you don't expect a rogue-like to have state-of-art graphics, do you?). Most possibly, this is a first first-person rogue-lite out there too, by the way. Gameplay is really simple: you're opening door after door on a floor, killing monsters, gathering loot (new spells/weapons, new items), leveling up (and getting 1 of 2 perks each level -- Crimsonland much?). In order to transfer to the next level, you must kill the boss. In order to do that, you must locate: a) an exit (or a boss room, if you like); b) token to open it. Each floor is procedurally generated -- monsters, spells, rooms and settings are randomized. This means, every time you're starting over, you're getting a new map to explore. By dying you'll lose your progress, but as of what I've seen, there's a total of 5 levels in the dungeon, so the game's main feature is starting it over and over again -- unlocking new classes, new weapons, new items and filling the lore book with new pages -- and getting basically a new experience every time. If you're a fan of rogue-likes, or if you ever played games like Hexen and Heretic, this game certainly is a "must play". I'd rate this game 8.5 out of 10.0. This group collects user with STEAM-Level 100 or higher.